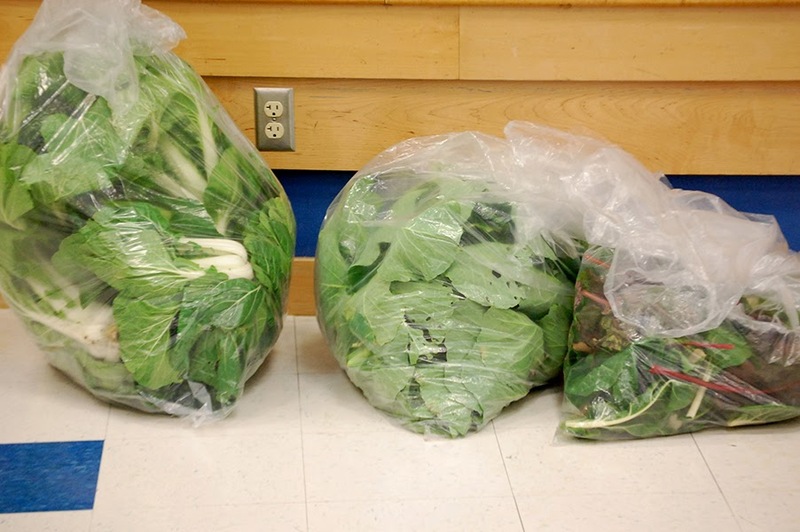 The students of the Green LIONS Garden Group harvested most of the remaining Fall produce from the LIONS Garden last week to donate to Potter’s House, a local food bank helping families in need. A representative from Potter’s House came to collect bags of bok choy, tatsoi, chard and cabbage and spoke with the students about how their donation can help. Part of the teachings of this program is how our connection to the earth deepens the connection to our community, in the decisions we make in how we live and how we purchase food and other items. Sharing our harvest is a powerful way to connect with our community during the holiday season. We also prepared the garden for Winter by planting a partial cover crop of winter rye, and by planting seed garlic to harvest next year. 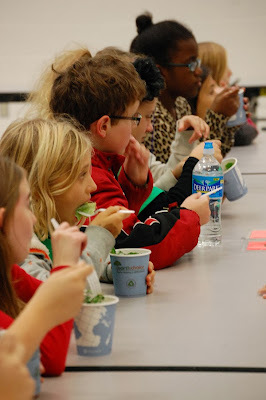 We mulched and watered the seeds in and then rushed inside from the cold to enjoy a freshly harvested salad. 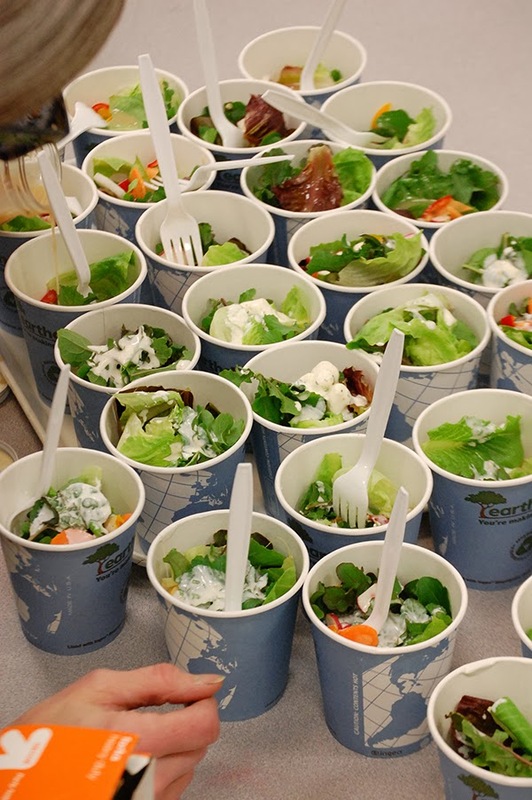 The salad was made from LIONS Garden lettuce, arugula and radishes, Mattawoman Creek Farm peppers and tomatoes, and Chesapeake-grown carrots. We topped the salad off with a choice of homemade Buttermilk Ranch dressing, made with regionally-produced milk, homemade yogurt and LIONS Garden parsley, or homemade Honey Mustard dressing made with Virginia honey and onions from Mattawoman. It was truly a local salad! And as you can see the students devoured it and asked for seconds. 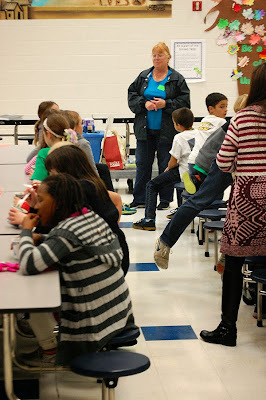 Our program’s worm bin was introduced at this meeting and students learned about their red and wiggly club mates. We explored the subject of decomposition and its importance in gardening and students learned how to take care of a worm bin. 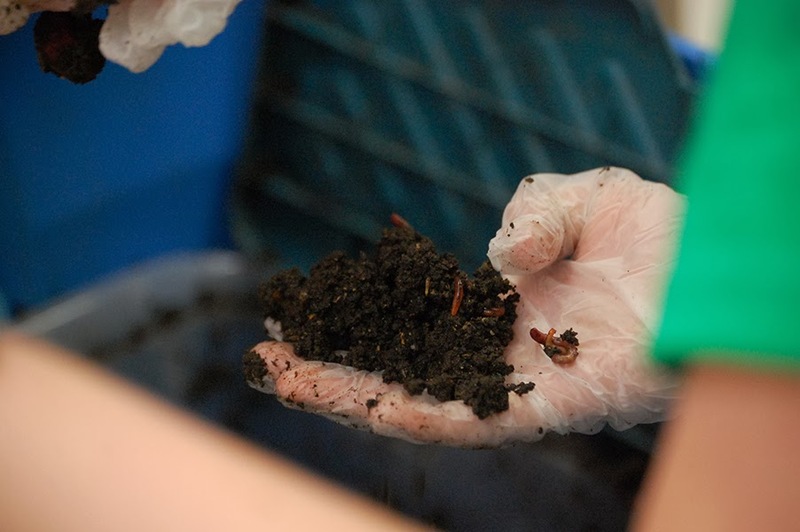 The bin will make its way around the school to six classrooms for the next few months so more students can have an opportunity to work with the bin and see nature’s recycling in action. We will work with the bin again in the Spring to harvest castings to fertilize the garden.